Customer support is moving online. 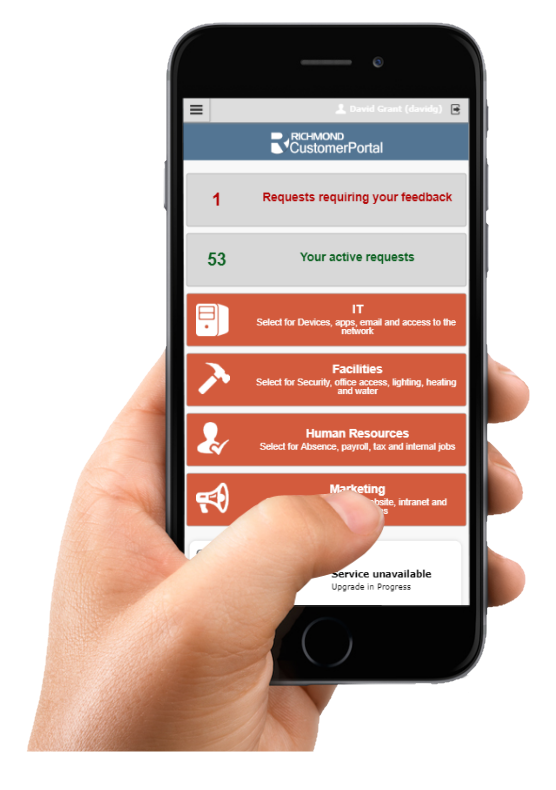 Automating your customer service with an online portal gives your external customers and colleagues instant access to help, while drastically reducing the volume of 'routine' yet laborious support queries. Richmond Customer Service Portal Builder from Richmond Systems on Vimeo. See how quickly you can build your own Customer Service Portal (CSP) using our unique portal builder. Powered by our CSP Workflow engine, a drag-and-drop interface lets you create automated customer support pages in minutes without any coding, allowing your customer support teams to use their time improving the customer experience. Richmond CSP gives you control of the entire portal. You can design the homepage, create workflows and forms, upload images, create notifications, log incidents, and much more, all with the easy to use drag and drop interface. It's not just the functionality, you have full control of the look of your portal. Create themes to suit your branding, upload your logos and banner, change fonts, create colour schemes, customise menus, and upload your own clickable panels to create a professional customer portal. You can even create multiple profiles, so if you’re an MSP, each customer can have their own branding. Customers sometimes get lost or fail to find the answers they need. With Richmond CSP, the journey is recorded in real time, meaning your analysts and support staff have a complete view. 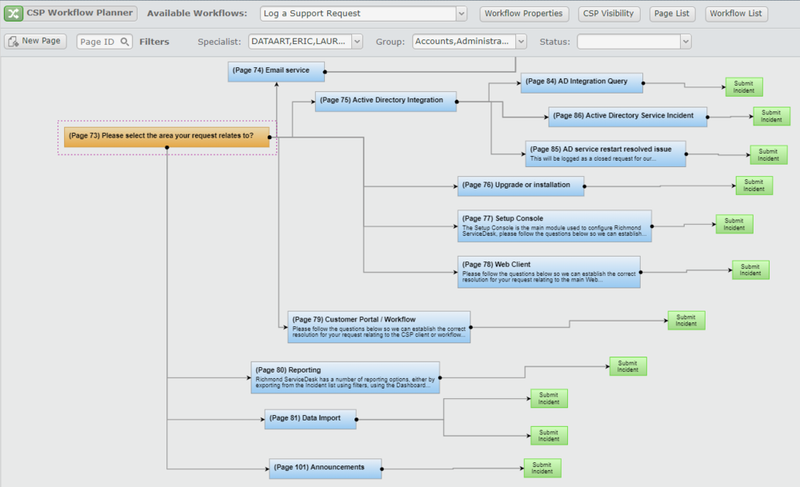 You can define how customers log incidents by creating variables. 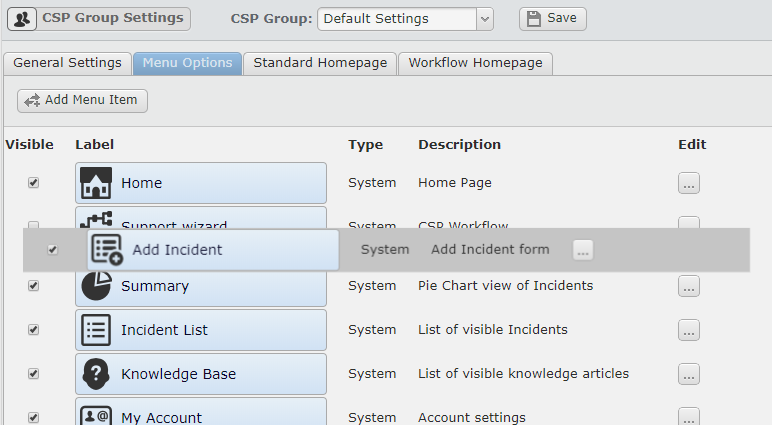 This allows the incident to be prioritised, categorised and assigned depending on the user input. However much you alter and customise it, your customer service portal will be responsive by default, so it will look just as amazing and work beautifully on any mobile device. Improve service levels . . .
Give customers instant access to the latest support documents and solutions with self service. Cost-effective IT support . . . Improve efficiency and reduce costs by offering 24/7 support without additional resources. No coding skills required - add knowledge articles and support resources in minutes.